This friday, I've got a non-food item to share with you. I guess you could eat it if you wanted to, but I wouldn't recommend that. It's much more enjoyable if you pour it into a nice hot bath and relax. 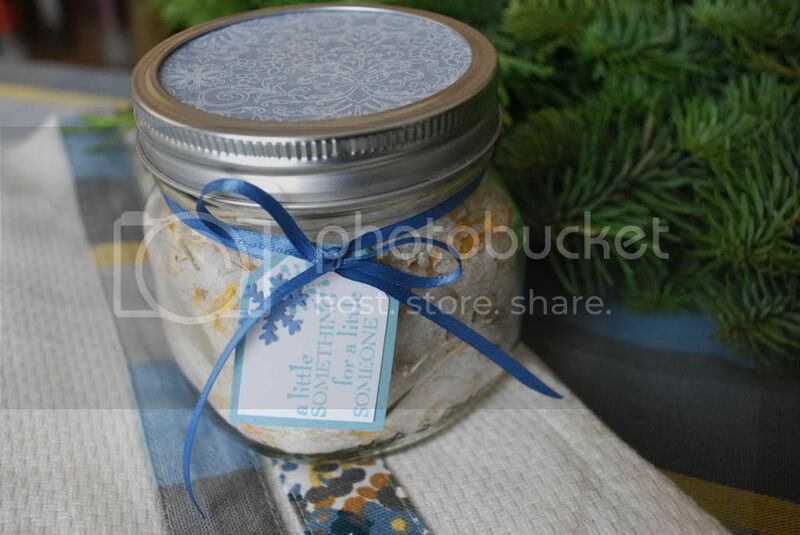 Bath salts are a great gift for anyone who needs a little pampering and they are super easy! 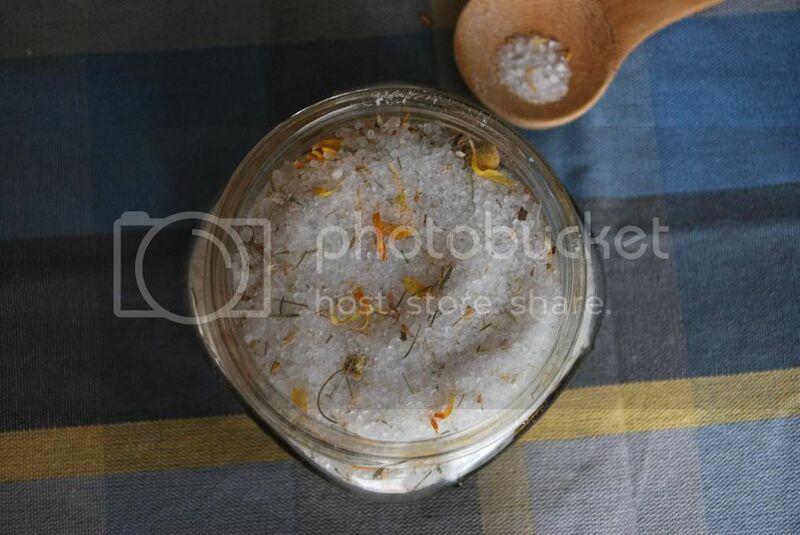 I've combined some of my favorite soothing herbs are oils together to make these salts. There are a couple options with this recipe. 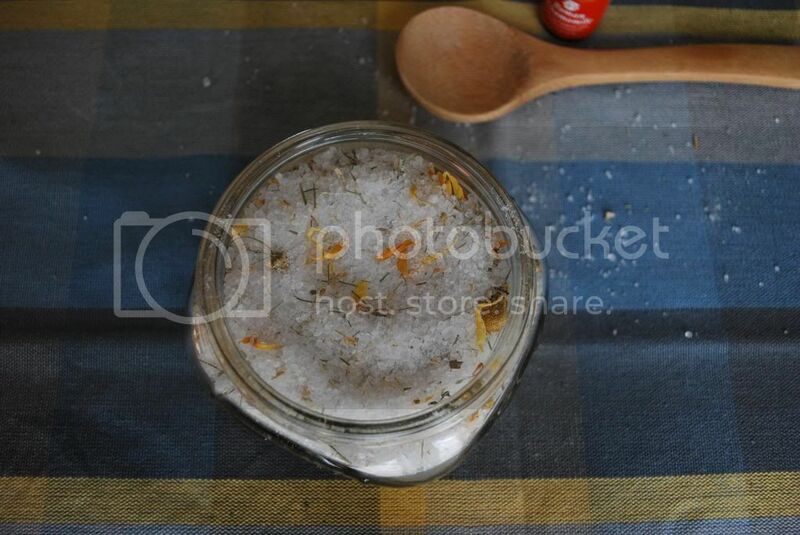 If you are making a small batch or want something super luxurious, use dead sea salt. 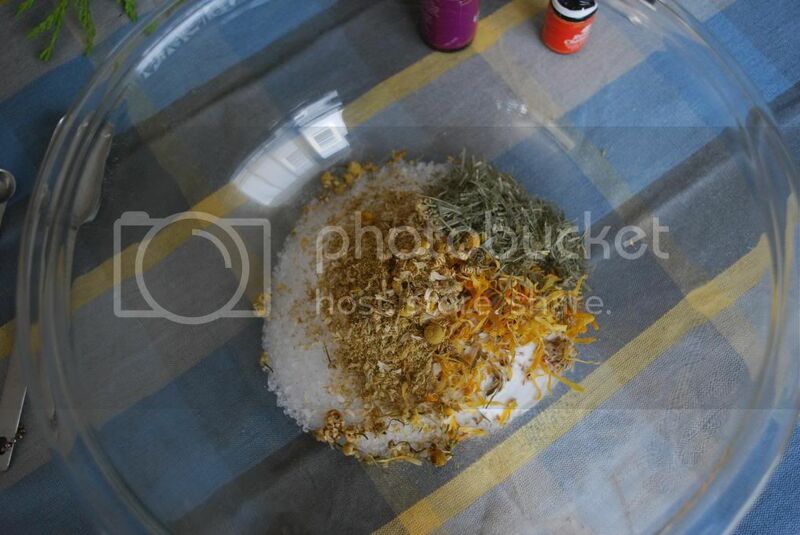 It can be expensive but it is the best thing for detoxing in the bath. 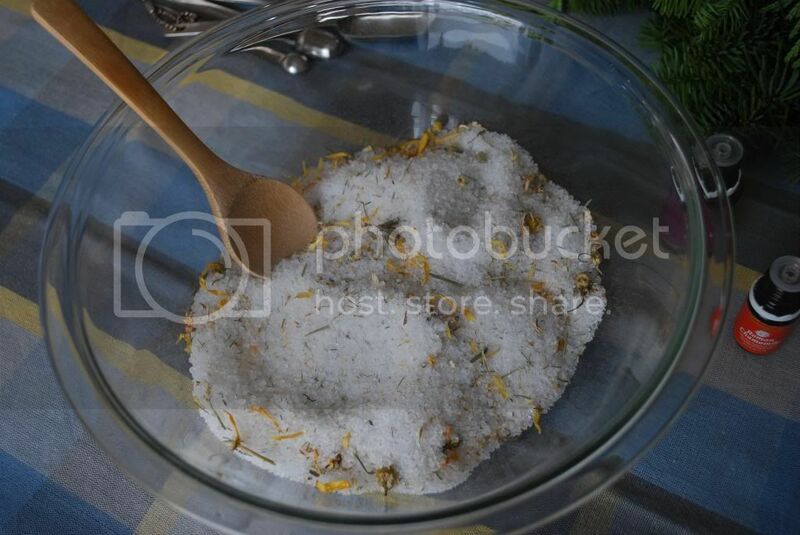 If you need a more economical option, you can buy epsom salts. These work well and are much cheaper. We use them around here on a daily basis. 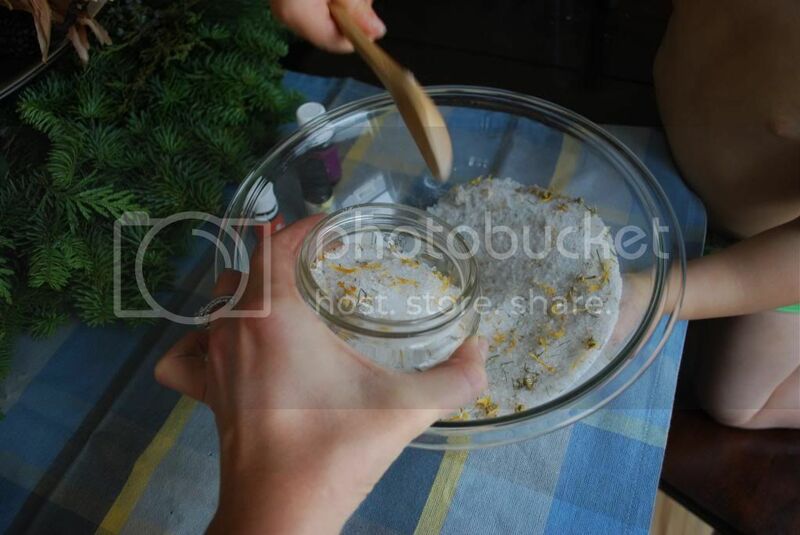 Depending on the quality of the essential oils you have, you can adjust the quantities used here. If you order pure oils from a company like Young Living, they will be much stronger than the store bought ones. If you are using store bought oils, you might want to add a few more drops. Remember, it will be diluted a lot in the bath. 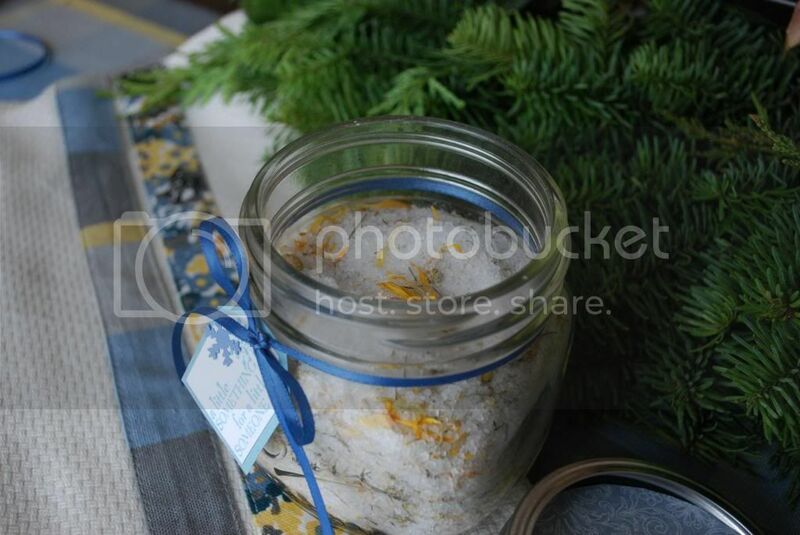 I get my salts and herbs from Mountain Rose Herbs. 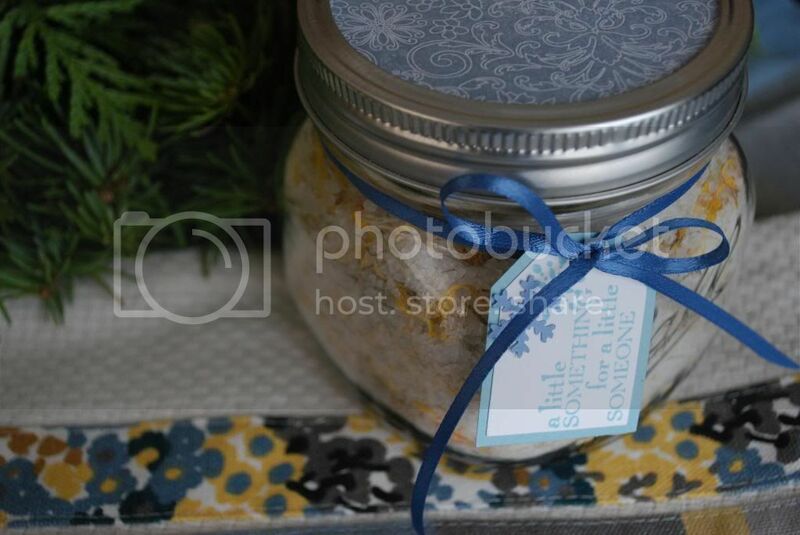 If you are gifting this, make sure you make enough for yourself! You need to relax too, right? 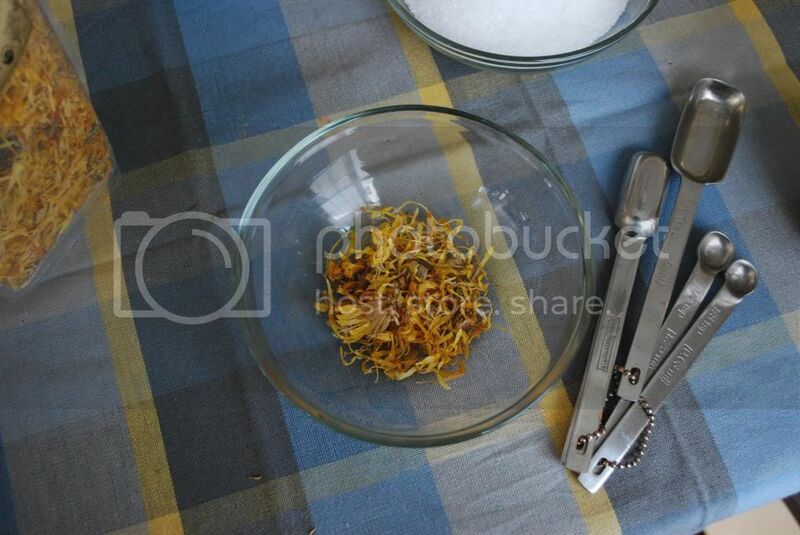 In a small bowl, divide calendula flowers into small pieces. 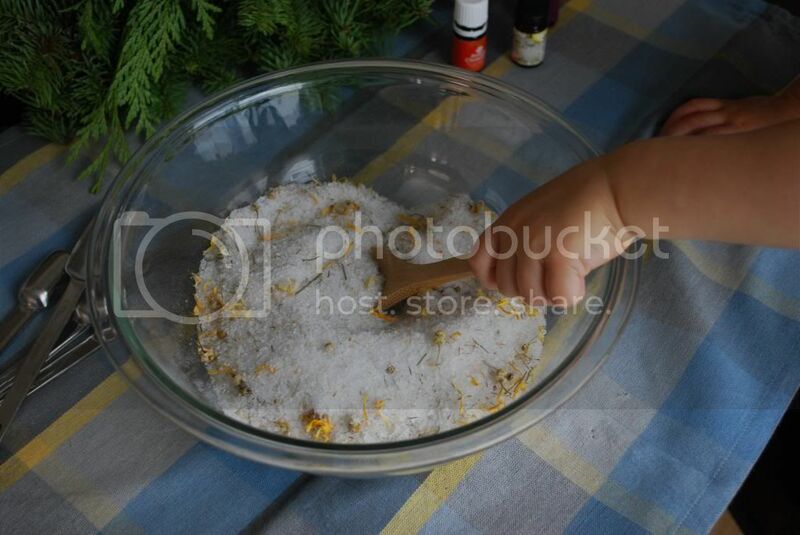 In a large bowl combine salt and baking soda. 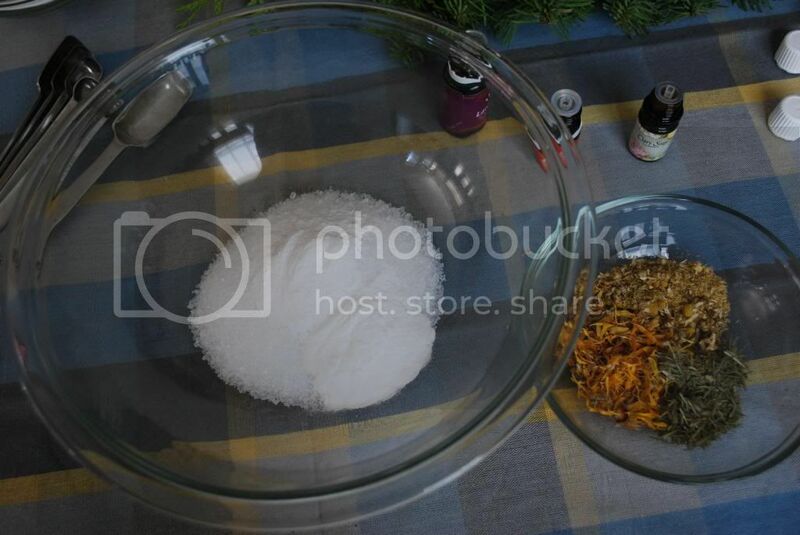 Add essential oil drops and mix again. 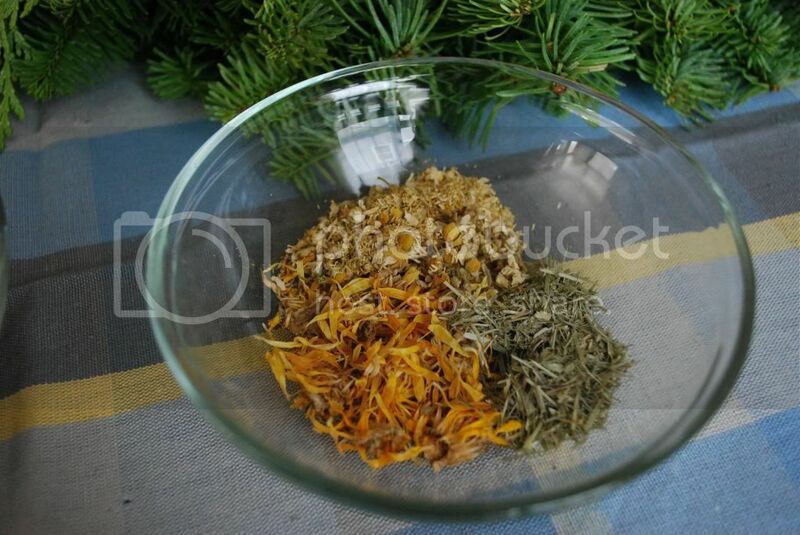 You can stop and take a sniff if you need some aromatherapy. 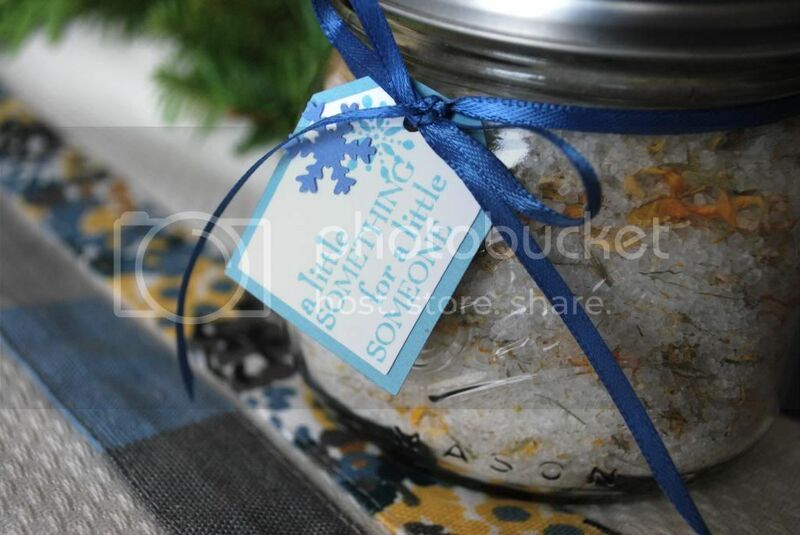 Pour mixture into small jars if you will be gifting. Make sure your containers are air tight so moisture doesn't get in. 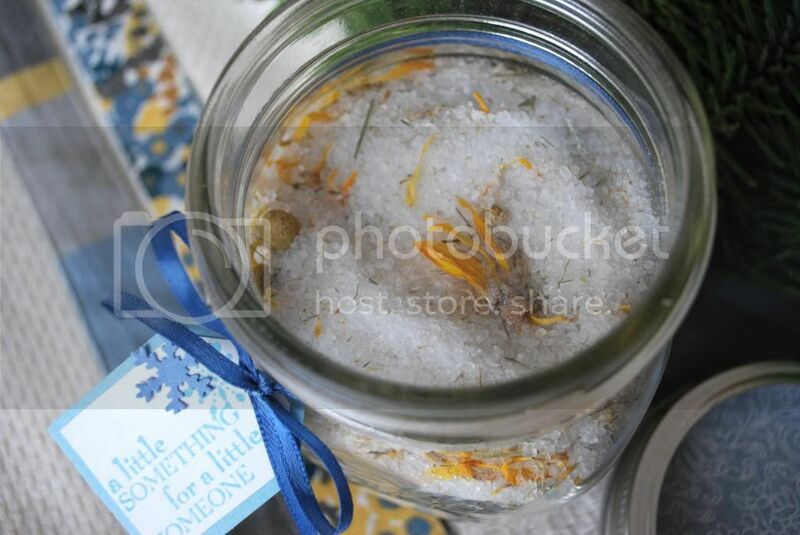 I like to give my salts with small muslin bags so the bathtub stays clean. You don't need these, but you can find them here. 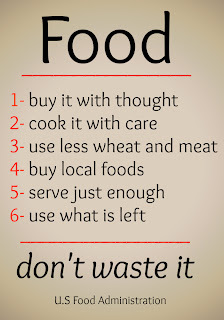 This post is shared at Natural Living Mondays, Monday Mania, and Homestead Barn Hop. 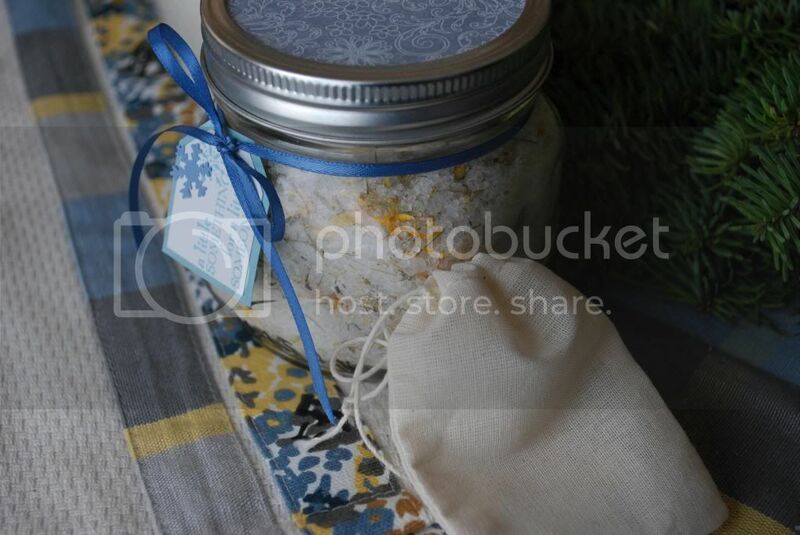 Thanks for sharing, love this idea, especially with the muslin bag.